" /> Land Rover Colorado Springs has a Service Center with expert techs. 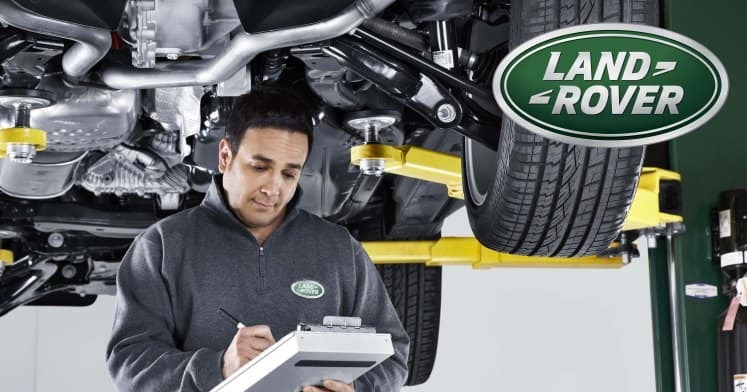 Land Rover Colorado Springs takes pride in our service center and our team of qualified Land Rover service technicians! No matter what your service related needs are, our technicians are available to help with anything ranging from an oil change to transmission problems. We use the latest technologies and techniques to assure you that your Land Rover vehicle will run amazing! Check out our convenient online resources that you can use when it comes to your service. Our service appointment scheduler can be used in multiple ways – you can create an account, be looked up by your phone number if you don’t have an account, or just find the next available appointment. We also offer pre-paid maintenance plans that you can purchase to help cover various routine maintenance that will be needed for your Land Rover vehicle. When it’s time to service your Land Rover, bring it into Land Rover Colorado Springs!